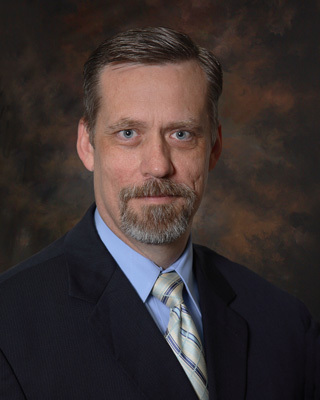 Timothy Benton, MD, is the regional chair of the Department of Family and Community Medicine and associate dean for clinical affairs at the Texas Tech University Health Science Center — Permian Basin School of Medicine, and medical director for the Physician Assistant program at TTUHSC School of Health Professions. He oversees TTUHSC’s rural training track, which provides critical education in rural medicine. The residents spend their first year training in Odessa, then spend two years living and working in a rural site in the Permian Basin. It has demonstrated success in bolstering the primary care workforce in a region strained by booming energy production. My pediatrician served as a role model for me to pursue medicine. Then in medical school I learned about family medicine and knew this would be my specialty. I saw family medicine doctors doing exactly what I wanted to do: caring for patients from the very beginning of their illness when it was undifferentiated, and solving the puzzle. More important I saw that the family doctors have true personal relationships with their patients and their patients’ families. My vision really was of a rural model providing a whole spectrum of care; that is exactly what I practiced for a number of years in a rural community in the clinic, the hospital, the hospice, the patient’s home, the nursing home…and, well, even sometimes at the grocery store. Why did you pursue an academic career and what is your role at TTUHSC? I was attracted to academic medicine after a number of years in private practice. I saw that I could still practice all the aspects of patient care that drew me to family medicine plus I could influence the next generation of physicians, inspire students to pursue the specialty of family medicine, and satisfy my desire to continue learning. Now with TTUHSC Permian Basin I am the regional chair of the Department of Family and Community Medicine, the associate dean for clinical affairs for the School of Health Professions, and the medical director for the Physician Assistant program. As of last year I became a tenured professor, achieving the School of Medicine’s highest rank. During my time at TTUHSC I was the residency program director in Amarillo for four years and then residency program director (along with being chair) at the Permian Basin campus for four more years. During my time as program director and chair we’ve expanded the residency program from six to 16 positions per year, which includes adding a rural training track. The rural program operates a 1:2 program during which the residents spend one year in Odessa and then two years living and working at one of four rural sites in the Permian Basin: Fort Stockton, Andrews, Alpine, or Sweetwater. Why is the rural track training program important to your region? Texas leads the nation in rural hospital closures and, as of a 2016 study, has the highest number of rural hospitals at risk for closure. In the Permian Basin of West Texas, any rural hospital closure could be devastating as there are a number of such hospitals spread over a vast geographic region; this would leave patients with excessively long drives to access medical care. Also, there has been a large population boom in the Permian Basin region of people working and living in remote sites and rural towns in association with oil drilling. Family medicine physicians provide the bulk of care in rural areas across the state and nation and, in general, 20 percent of rural physicians are approaching retirement. All of these factors together contribute to huge need for training family medicine physicians in rural training track programs. The greatest possibility of retaining physicians in rural areas is by training them in a rural setting. What does the program provide for patients? Rural training tracks, just by having residents at the rural site, immediately provide workload relief to the physicians there and also immediately opens up more access; more providers are available. There is higher likelihood that a physician trained in a rural training track will practice in a rural setting after training. National studies demonstrate this and our own experience shows this. Of five rural training track graduates, four are now practicing in rural cities in Texas — and not just in West Texas. Also within the program two future graduates have already signed contracts with rural hospitals. What does the program provide for the physicians-in-training? The education in a rural training track better prepares the residents for rural practice and offers the resident the opportunity to participate in more operative and interventional procedures, further advancing their skills. In regards to general preparation for rural practice, the residents learn how to manage a patient from a whole new perspective. In the major regional medical centers, the subspecialist is just down the hall. In the rural setting the subspecialist isn’t immediately available but the patient’s needs are no different. The rural resident must learn to manage this patient and learn how to manage the patient through a transition of care, and the process that entails, to stabilize them or begin the initial therapy before their move to a higher level of care. The only preparation for that has to come from experience. A rural training track is perfect for this because the resident’s first-year training in an urban setting helps him or her learn what the patient is transitioning to, and the years in the rural setting give that critical experience in patient management. What advice do you have for medical students and residents, or even physician colleagues, who may not have considered rural medicine? Rural medicine is tremendously rewarding. The opportunity allows you to perform at your highest level in managing a wide diversity of problems whether they be acute or chronic illness. Perhaps more important, there develops within the physician and his or her patients a true sense of community and perhaps restoration of humanity that can sometimes be lost in “sterile” medical environments. There is opportunity to not only treat people for illness but to promote change in patients’ spiritual and mental well-being through close relationships built by the physician being a member of the same community. Even larger scale, the rural physician can perhaps change the health of an entire community through engagement of people beyond the office in promoting healthy behaviors and thus preventing illness.